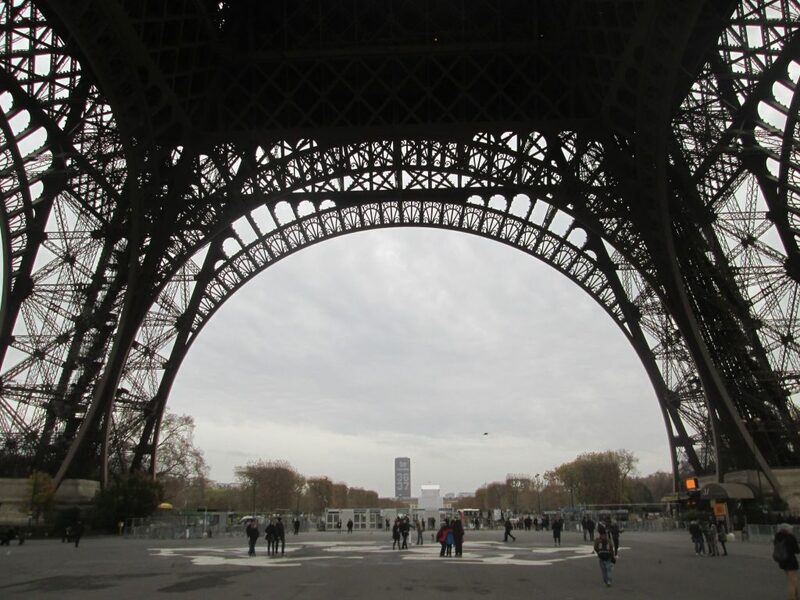 5 Unusual Places Photo Eiffel Tower - Come adventure with me. You’ve seen a million pics of the Eiffel Tower, and now those pics got you to buy a ticket and you’re headed to France. 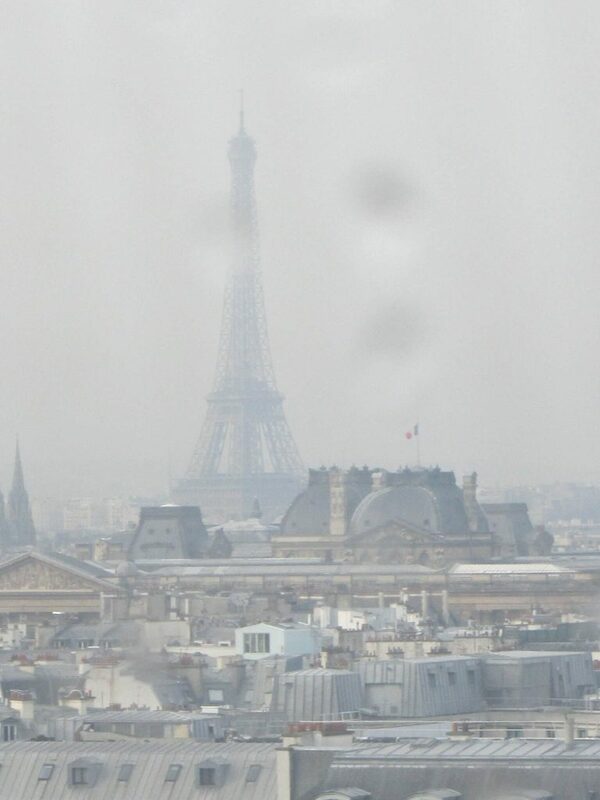 And you want to get “your” photo of the Eiffel Tower. Well, instead of taking the obligatory pic from the park across the street from the Tower, here are 5 unusual places photograph the Eiffel Tower. If you haven’t purchased a Paris Museum Pass, be sure to get one. It’s worth it, and you’ll end up going to places that you didn’t think you’d go, making your Paris trip even that more valuable. I got the 2-day pass, and in that time did 7 of the items on the pass. I never felt hurried; I saw what I wanted to see and saved money. So, first on your list should be the Centre Pompidou. Paris’ contemporary art museum must be seen, not only for its permanent works, but its temporary exhibits are world-class. So, go to the Pompidou, take the elevator to the sixth floor. Walk to the end of the glass hallway and look out. 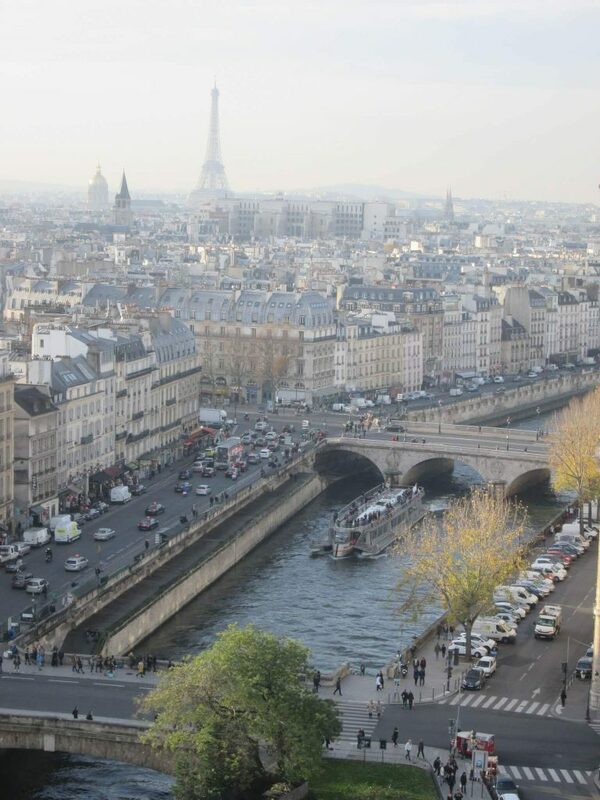 You’ll see the Eiffel, and it’s your first unusual place to take a picture. Here, mine even got some raindrops. Next, use your Paris Pass at Notre Dame. After you’ve oohed and aahed inside at the stained class, go outside. If you are facing the front doors, look to your left. On the left side of the building will probably be a line. This line allows access to the belfry. Your Pass gets you up for free, but you have to climb the 400+ steps. It’s worth it. Make your way up, catch your breath, then balance your way over to the bell tower. Look up the river. 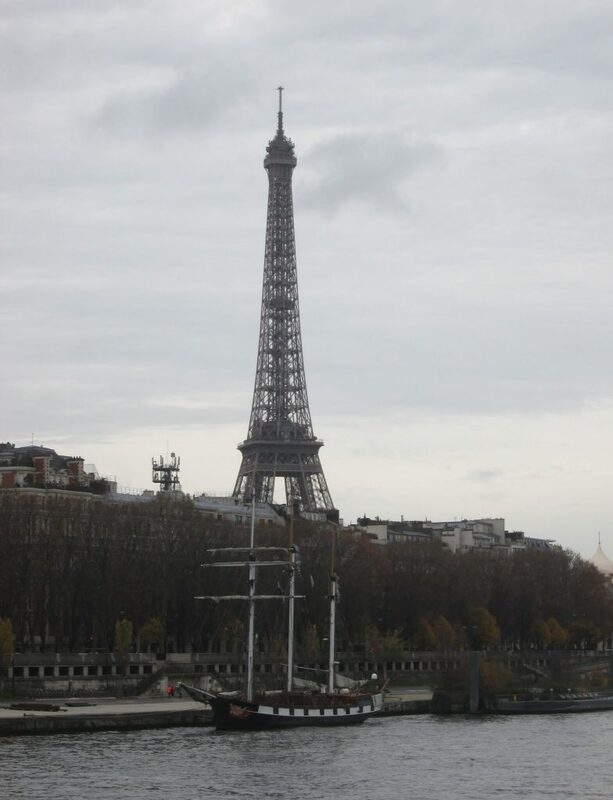 Here’s your second photo of the Eiffel, with Siene included. After you’ve walked all day and grabbed a bite to eat, get on over to the Arc de Triomphe. This historic arch commemorating France’s battle wins frames the western end of the Champs-Élysées. It’s big and impressive. If you’re into military history, plan some time here. For me, I just wanted to get to the top. Your Pass gets you there by elevator. Sadly, the elevator was closed, so up the 200+ steps I climbed. At some point in your Paris walking, you’ll pass Le Petite Palais on the Champs-Élysées. Although I didn’t go in the Palais, I did take a moment to look down river. There, you get a great closeup of Eiffel without a gazillion people interfering with your picture. You may even be lucky enough to get a tall ship in your photo. One of the beautiful things about the tower is its amazing architecture. 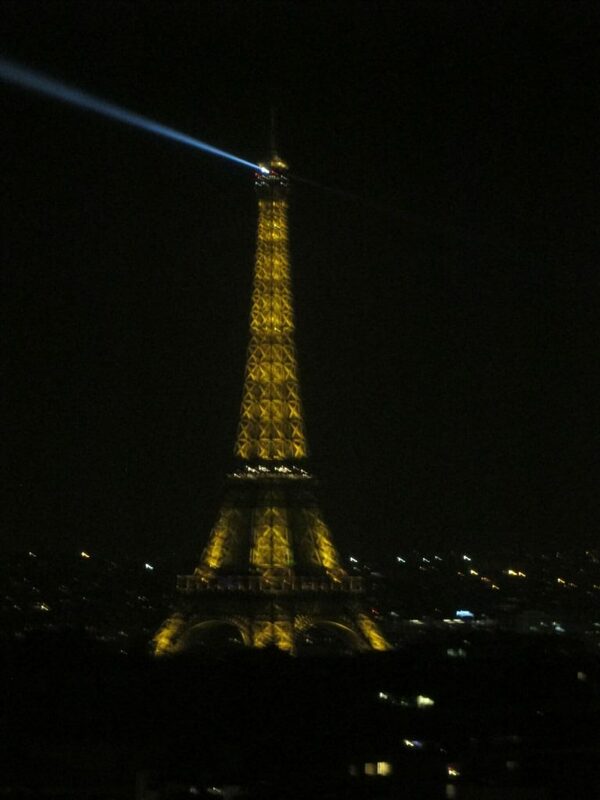 After all, it is what makes the Eiffel Tower relevant. Without having to pay a dime, much more a Euro, enter into the secured area of the Tower’s grounds. 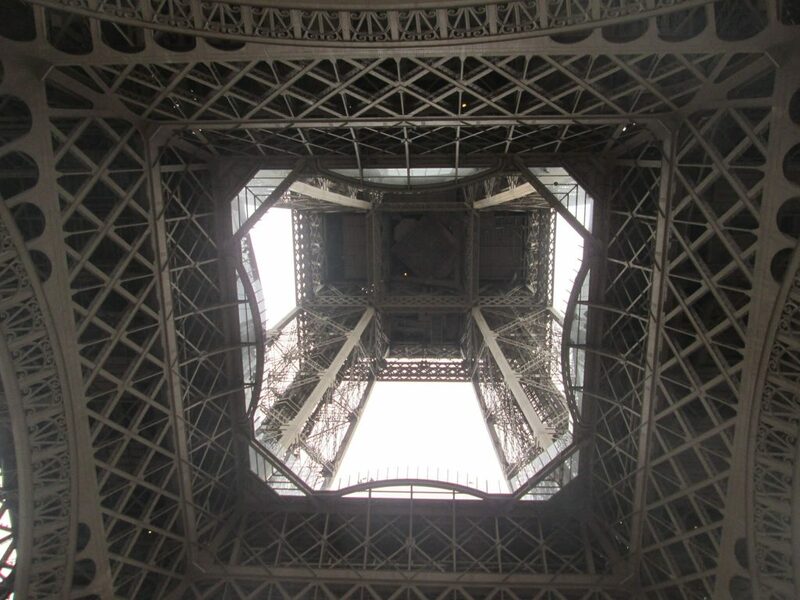 Then instead of standing in line to go up the Tower, go underneath it and look up. Take in the arches of its edges or the view up the center of the column. Both views invite incredible photography that even an amateur like me couldn’t screw up. With 5 unusual places photo Eiffel Tower, you can’t go wrong getting at least one interesting shot. Where did you go? What photo did you take? Post it, email it or tweet it to me! I’d love to see it. Chris: I was in Paris for the first time last year and must admit that my heart reacted to seeing the ET for the first time. Your photo perspectives are wonderful — makes me want to go back. Taking off for a walk in the mountains now — hope to see you in Georgia sometime. Richard, so great to wake up and see your comment this morning. Yes, Eiffel does have some magnetic pull, doesn’t it? We had gotten a fabulous package price from TravelZoo–$900 r/t from Denver with 6 nights apartment, 3 in Rome, 3 in Paris. I couldn’t not go….and off we went for the Thanksgiving holiday. Georgia is creeping up the list…trying to turn my 13 year old into a hiker, but right now the only motivator for walking is croissants :-). Got any of those on the AT? See you soon.